Description: Grown in southern Thailand, its roots and underground stems can be ground into powder for seasoning and natural pigment use. 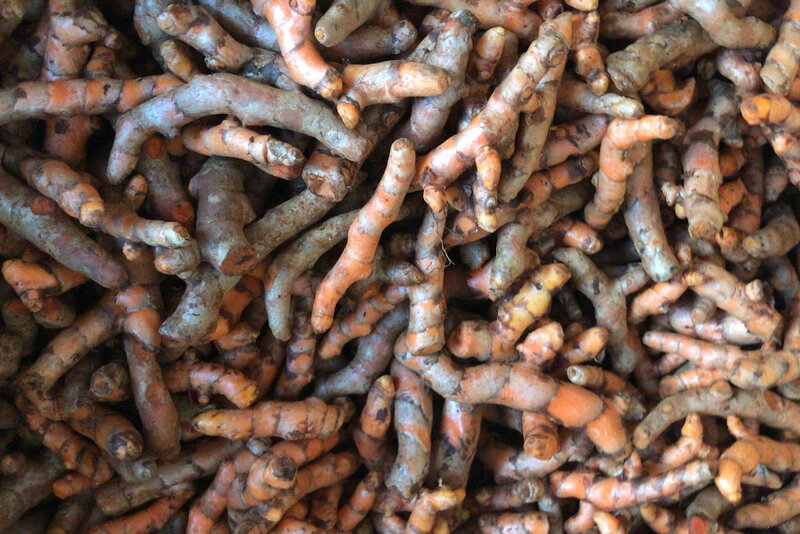 Curcumin-like curcumin content of about 2-6%, curcuminoids including curcumin (Curcumin) and the other two ingredients demethoxycurcumin, bisdemethoxycurcumin, three of them in the curcumino-like share of the order of 80% , 18% and 2% respectively. Curcumin is a bright yellow chemical (a natural phenol) produced by plants that is present in turmertic and it is known for their superfoods property as anti-inflammatory, anti-oxidation, anti-cancer, prevention of cardiovascular disease, lowering blood cholesterol, prevent diabetes, obesity and other effects. Use them FRESH to maximize the benefits. There are a few recipes to make immunity boosters. Golden milk with fresh turmeric and nut milks or turmeric shots with ginger, lemon, raw honey, coconut water, natural salt and a pinch of black pepper to improve the absorption of turmeric.